A clean sweep of the OPL Split 1 Grand Final series saw Bombers esports claim its first OPL title at the weekend. Having secured first position during the regular season and direct entry into the Grand Final, the Bombers were favoured to defeat cross-town rival Order, and didn't disappoint with a stunning 3-0 rout in Sydney. Heading into the gauntlet, Order looked a formidable opponent with convincing wins over Mammoth (3-1), Avant (3-0) and The Chiefs (3-0). The Bombers were on pace early in game one of the series, earning themselves an enormous 12.8k gold lead and creating chaos for the Order line-up. As the game progressed past the 26-minute mark, nerves seeped into the Bombers as they struggled to close out the game against a resilient and composed Order. After almost 10 minutes of failed team fights, the Bombers finished the job and took the first game of the series after 36 minutes. With the first game completed, the team finally settled and once again showed why they were the best team of the season. Game two was an almost flawless one for Bombers, defeating Order in less than 30 minutes. One final win remained for the team to ensure the Grand Final victory, but Order wasn't ready to give in. The Bombers were put on the back foot almost immediately with a well-executed level-one invade by Order resulting in a three-kill deficit for the Bombers in the third minute. But it didn't take long for the Bombers to respond with a high-class tower dive on the bottom of the map to take back the lead. With Order throwing everything they could at the Bombers for a last-ditch attempt to reclaim momentum in the series, the third game turned out to be a team-fighting spectacle in what finished a high-kill game for both teams. Despite Order's best efforts, the Bombers finished the game in style and earned themselves an OPL title. 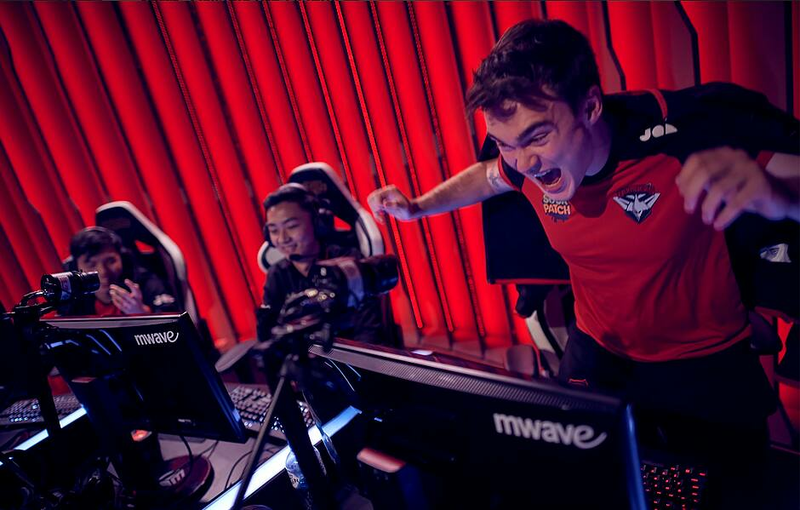 Since the inception of the OPL in 2015, just two organisations have won an OPL title - Chiefs and Dire Wolves. The Bombers now become the third team to join the exclusive club and the first Melbourne-based team to claim ownership of the trophy, while the title is also the first overall for all five Bombers players. To top it all off, two Bombers took out individual awards. The Raydere Medal - awarded to the best-and-fairest player of the season as voted by the league's team captains - went to Bombers top laner Jusung ‘Mimic’ Min, while South Korean rookie recruit Hyunjin ‘Balkhan’ Choi claimed the Rookie of the Split award after showcasing an extremely dominant split from week one. This is the second time a Bombers player has won the award, with former mid laner Carlo ‘Looch’ La Civita earning the award in 2016. With the Grand Final out of the way and celebrations in high gear, the Bombers now turn their attentions to the Mid-Seasonal Invitational tournament in Vietnam, where they'll compete against the top seeds from other regions from May 1.